As we announced in January, Entertainment Studios is working on two original sitcoms for first run syndication for this fall, but now we have casting news for one of them! 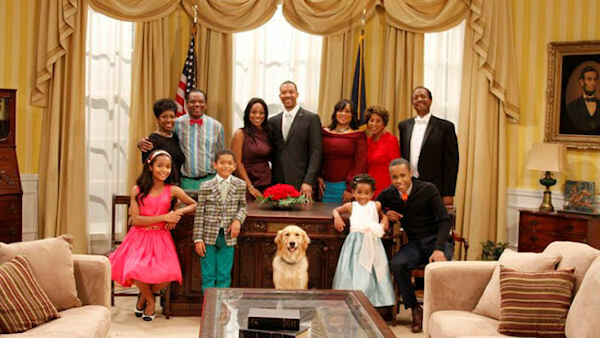 The First Family, a sitcom about an African-American family that resides in The White House has announced its casting. Many familiar faces will be on hand for this series. 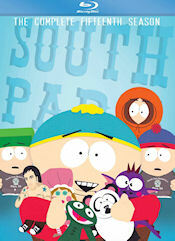 The pilot was recently taped and the series will tape a whopping 104 episodes for next season. 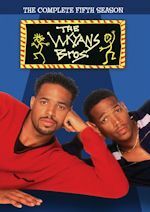 The series will star Christopher B. Duncan (The Jamie Foxx Show) playing President William Johnson. 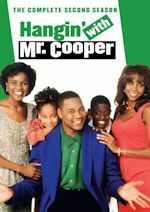 The cast also includes Kellita Smith (Bernie Mac Show) as First Lady Katherine Johnson, Jackee Harry (227, Sister Sister) as Pauletta (the First Lady's sister), John Witherspoon (The Wayans Bros.) as Grandpa Alvin (the President's father), Gladys Knight (Dancing with the Stars) as Grandma Carolyn (the President's mother), with Marla Gibbs (The Jeffersons, 227) as Grandma Eddy (the First Lady's mother) and Michael D. Roberts (Baretta) as Bernard (the White House Butler), among other cast members like comedian Paul Rodriguez. Yep, child, Jackee and Marla Gibbs are reuniting for another sitcom! Production will resume this summer for the comedy's fall debut. No casting news yet on the other sitcom Entertainment Studios is pitching for national syndication this fall: Mr. Box Office, a sitcom about the biggest movie star in the world who is sentenced to community service teaching English at the toughest high school in America. Stay tuned for more details on that one and continued updates on The First Family and when it will premiere! It'll be on broadcast syndication, cable, and digital media starting this fall. 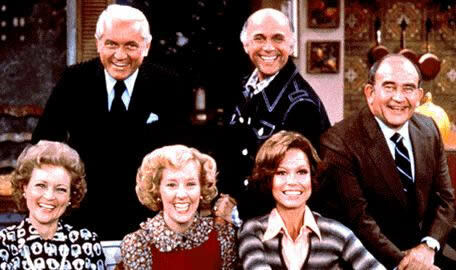 For the week of April 2-6, 2012, we have many current sitcom stars and past sitcom stars on TV talk shows! All times listed are Eastern. So get your DVR's (or whatever you use) ready! Ready? Here is all what you need to know for the coming week! Betty White (Hot in Cleveland/The Golden Girls/The Mary Tyler Moore Show) - Watch the legendary Ms. White on The Tonight Show with Jay Leno at 11:35pm on NBC. Betty White's Off Their Rockers premieres on NBC on Wedensday at 8/7c. Christa Miller (Cougar Town/The Drew Carey Show) - Christa stops by Jimmy Kimmel Live! at 12am on ABC. Jason Biggs (Mad Love/Drexell's Class) - Jason visits LIVE! with Kelly, so check your listings. America Reunion opens in theaters on April 6. Janet Jackson (Good Times/Diff'rent Strokes) - Janet appears on a repeat of Anderson, so check your local listings. 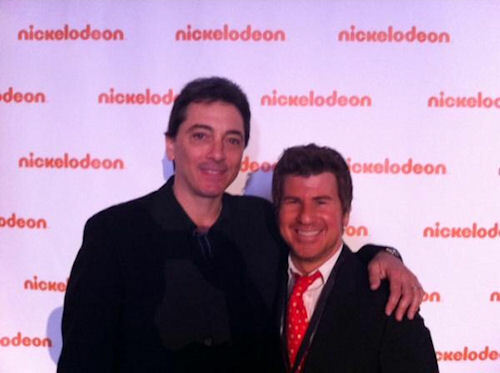 Jason Biggs (Mad Love/Drexell's Class) - Jason visits The Tonight Show with Jay Leno at 11:35pm on NBC. Edie Falco (Nurse Jackie) - Edie is a guest The Ellen DeGeneres Show, so check listings. She will also be on Jimmy Kimmel Live! at 12am on ABC. Ted Danson (Cheers/Becker) - Ted appears on the The Late Late Show with Craig Ferguson at 12:37am on CBS. Hannah Simone (New Girl) - Hannah drops by The Late Late Show with Craig Ferguson at 12:37am on CBS. Chris Elliott (Get a Life/Cursed) - Chris stops by Conan at 11pm on TBS. Carolina Rhea (Sabrina, the Teenage Witch) - Caroline chats on LIVE! with Kelly, so check your listings. Simon Helberg (The Big Bang Theory) - Simon is a guest on The Talk on CBS at 2pm ET/1pm CT-PT. Jeffrey Tambor (Bent/Arrested Development/The Larry Sanders Show) - Watch Jeffrey on The Late Late Show with Craig Ferguson at 12:37am on CBS. Jason Biggs (Mad Love/Drexell's Class) - Jason continues to make the rounds on Jimmy Kimmel Live! at 12am on ABC. Alyson Hannigan (How I Met Your Mother) - Alyson visits Late Night with Jimmy Fallon at 12:37am on NBC. 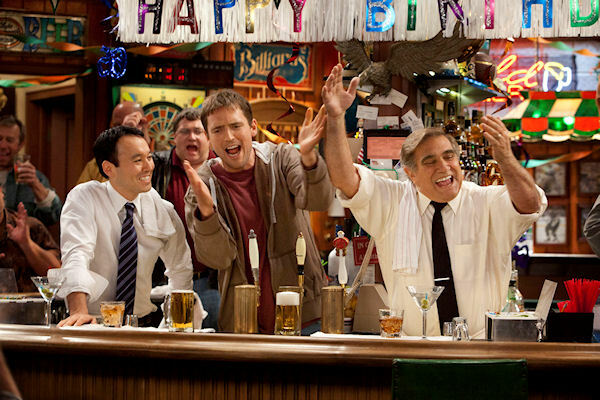 Johnny Galecki (The Big Bang Theory/Roseanne) - Johnny stops byLIVE! with Kelly, so check your listings. Niecy Nash (The Cleveland Show/Reno 911!) - Niecy appears on The Wendy Williams Show at 12am on BET or on your local stations. Betty White (Hot in Cleveland/The Golden Girls/The Mary Tyler Moore Show) - Betty is a guest on NBC's Today between 7-9am. Sofia Vergara (Modern Family/The Knights of Prosperity/Hot Properties) - Sofia appears on Late Night with Jimmy Fallon at 12:37am on NBC. Annie Potts (Designing Women) - Annie joins the Chew Crew on The Chew on ABC at 1pm ET/12pm PT/CT. Kathy Griffin (Suddenly Susan) - Kathy stops by Watch What Happens: Live at 11pm on Bravo. Laura Linney (The Big C) - Watch Laura on The Late Late Show with Craig Ferguson at 12:37am on CBS. Debra Messing (Will & Grace) - Debra chats with the ladies of The View on ABC at 11am ET/10am CT-PT. Neil Patrick Harris (How I Met Your Mother/Doogie Howser, M.D.) - Neil guest co-hosts a repeat of LIVE! with Kelly, so check your listings. Jason Biggs (Mad Love/Drexell's Class) - Jason wraps up his appearance this week on The Ellen DeGeneres Show, so check listings. Alyson Hannigan (How I Met Your Mother) - Alyson visits The Rachael Ray Show, so check your local listings. This summer, Fox heats up with a lot of reality and Gordon Ramsey: the season nine premiere of So You Think You Can Dance, the return of Gordon Ramsay's Hell's Kitchen and Masterchef, plus the premiere of Ramsay's new series Hotel Hell. Back for a ninth season, So You Think You Can Dance kicks off with a two-hour premiere Thursday, May 24 from 8:00-10:00 PM ET/PT. Then the following week, on Wednesday, May 30 from 8:00-10:00 PM ET/PT, the series moves into its regular time period where it will air only once a week this season and each jam-packed two-hour show will feature awe-inspiring performances, as the contestants compete to be named America's Favorite Dancer. Additional So You Think You Can Dance schedule information to be announced. On Tuesday, May 29, Chef Ramsay returns for an all-new season of Hell's Kitchen at 8:00 PM ET/PT, followed by the season three debut of Masterchef at 9:00 PM ET/PT. Beginning Monday, June 4 at 9:00 PM ET/PT, Hell's Kitchen expands to twice per week with all-new episodes Mondays at 9:00 PM ET/PT and Tuesdays at 8:00 PM ET/PT. Next, in Hotel Hell premiering Monday, June 4 at 8:00 PM ET/PT, Ramsay will travel to San Diego, CA; Coeur D'Alene, ID; Cambridge, NY; Milford, PA; and Windsor, VT to fix horrid hotels, awful inns and just plain bad bed and breakfasts. That is all Fox has announced so far for summer. Mondays & Tuesdays with Gordon Ramsey shows and Wednesdays with So You Think You Can Dance. It is expected repeats will air Thursday-Sunday, but we're not 100%. Fox has said additional summer premiere dates and schedule information will be announced. So stay with us! MeTV Network has announced an affiliation agreement with Post-Newsweek-owned KSAT-TV, San Antonio where MeTV will launch on Monday, April 2, 2012. The station will carry MeTV over the air on channel 12.2 as well as on all local cable systems. 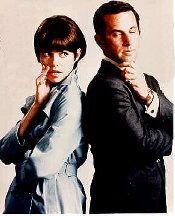 MeTV now covers more than 77% of the country and has more than 120 affiliates. 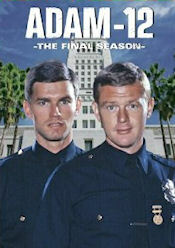 Post-Newsweek's other MeTV affiliate is WPLG- TV in Miami, which will launch on April 24, 2012. 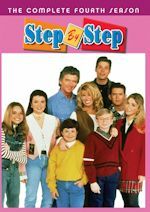 In other MeTV news, they will add their new Saturday morning block starting Saturday, April 7. The new block will feature classic animated series from 5-8am. Airing in order are: Gumby, The Famous Adventures of Mr. Magoo, He-Man and the Masters of the Universe and She-Ra: Princess of Power. The latter two will have two episodes back-to-back. This block will replace Saturday airings of Gomer Pyle, Petticoat Junction and The Beverly Hillbillies. On Easter Sunday (April 8), MeTV will air two classic specials at 6pm and 7pm: Here Comes Peter Cottontail and Lamb Chop's Passover Special. There will be no other changes to the schedule, so all of your favorite sitcoms and dramas will remain airing. 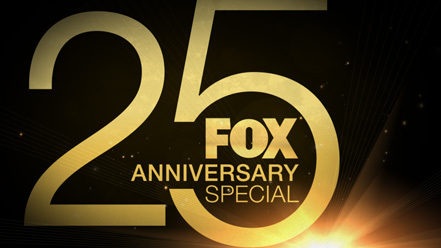 As we broke last month, Fox will air its 25th Anniversary Special on Sunday, April 22 from 8-10PM. We exclusively mentioned that among the classic Fox series that will be featured are Arrested Development, Beverly Hills 90210, In Living Color, Married...with Children, That '70s Show, and The X-Files. Now we have some more info! The star-studded special will take an entertaining look back at the groundbreaking and irreverent shows that have defined the network since its first signal transmission on April 5, 1987. 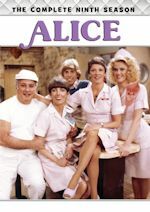 The star-studded special will pay tribute to Fox's most memorable moments with appearances by Fox talent, highlights from iconic series and specials and reunions with cast members from some of the network's fan-favorite series, including Married With Children, among other surprises. Talent scheduled to appear on Fox's 25th Anniversary Special include Calista Flockhart from Ally McBeal; Gabrielle Carteris, Shannen Doherty, Jason Priestley and Ian Ziering from Beverly Hills, 90210; Christina Applegate, David Faustino, Ed O'Neill and Katey Sagal from Married With Children; Patrick Warburton from The Tick; and Gillian Anderson, David Duchovny and creator Chris Carter from The X-Files. The host, additional Fox talent and more cast reunions to be announced. I'm thinking we get the casts of Arrested Development, That '70s Show, In Living Color, Living Single, and Martin perhaps? So stay with us for more information as get it! The second episode will also premiere on Hulu on Monday, April 2 before its April 18 air date, and following episodes will be available a day after they air on ABC on Hulu, Hulu Plus and abc.com. We have already watched three episodes of the series for review and we will have our formal review of this comedy a day before the premiere on Tuesday, April 10 - so come on back for that! Hint: It's a great show! But for now, you can't trust that b--- in apartment 23, so watch the pilot and spread the word of this fine comedy!